I was recently doing some work at a preschool when I came across a little gem in the front of the playground. 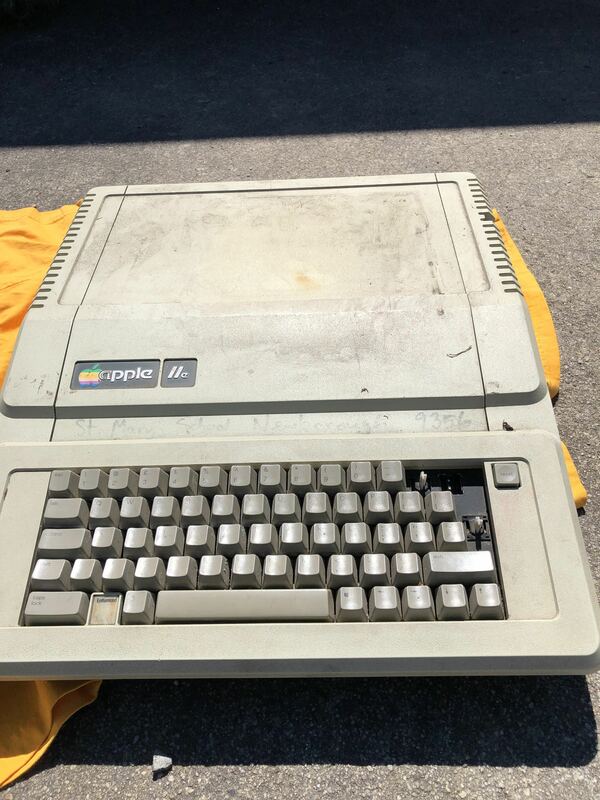 An Apple iie which had been used as a 'toy' in a childrens sandpit, despite looking obviously worn, damaged, grafiti and horribly weathered i asked if I could adopt the computer in which the teachers agreed on condition i do a demonstration to the children if/when it's repaired. So i began to take on this project - Silly Me. 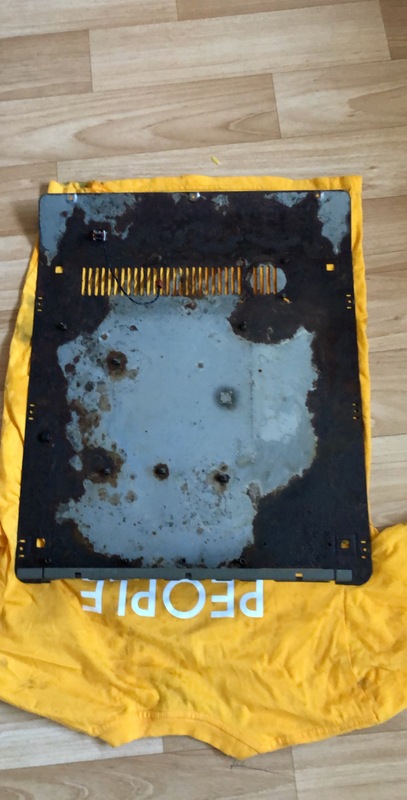 It had survived a fire from 1989 in a highschool in which their was no damage taken to the machine but the School was destroyed and demolished, afterwhich this machine was provided to a primary school where it had lived out the rest of it's days until 1992. Which the machine was donated to this preschool/kindergarden in which it has sat outside in a sandpit/thrown around, used in games ect. Rust - Lots and Lots of Rust on the bottom of the board and inside the power supply. 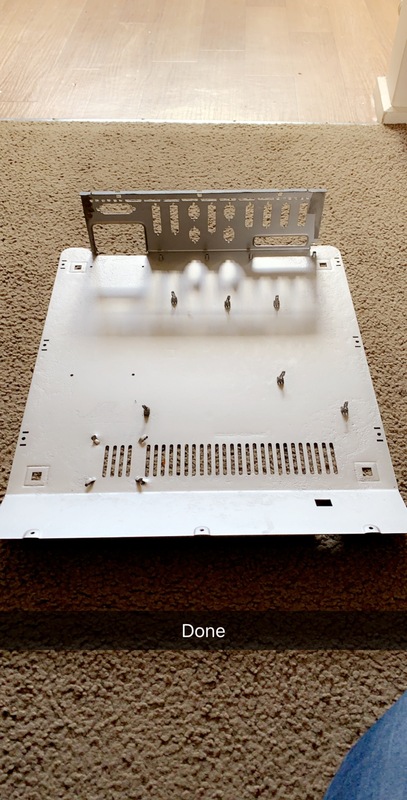 The Case was very dirty and had drawings, scratches and one small break in the board. Missing keys - Mechanisms on most of the keyboard are damaged. After a clean in alcohol, a lot of scrubbing, grinding away rust, repraying the bottom of the board. Now the part i was scared of: Actually Fixing it. Power Supply: I replaced Fuses, Cleaned the Power Supply and overall just did everything i could think of. But To no Avail: I built my own powersupply since the pin out was on the back of the computer. Simple. No PowerLight, No Beep no Display. Reseated and recleaned all the teeth of the chips. I Started Following a troubleshooting guide which was really useful but was designed for the NTSC board. Not mine. So That was No help. The Capictors list for the board as all of the markings have worn away and I'm not sure it's my multimeter or the capactiors but I can't get a consistent result. Plus given this computers history, i'd like to recap the whole board. The Chip list for the board as once again the markings have worn away on some of the chips and I'm having trouble identifying some of the chips. Please help me give new life to this computer! Power Supply - I rebuilt a new one. So no need to recap the psu. Just need the capacitor list for the board. While I commend you greatly for this effort, I think the damage is simply too extensive. But by the looks, (and you've done a great job of it) save the case. Hate being the bearer of bad news, but IMHO that's your best option. There's no shame with replacing boards and parts. Good luck with this project. We'd all like to see the outcome, regardless. 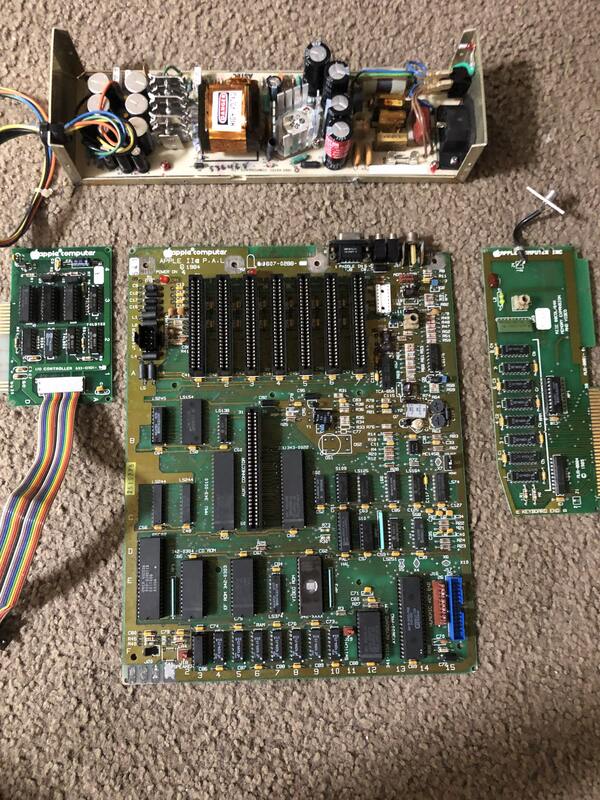 I would give it a try to fix it... here's a good picture of a similar board, where you could read the Chip IDs. I do beleave that for example the seen EPROM might having lost his content. So reflashing might be an option. I would start measuring the IC power voltages just to be sure they are getting power. Macnoyd - Although initally I agree that this machine could have nearly half a dozen problems. I believe components fail which can be replaced and repaired. Theirs no such thing as a dead machine just a very damaged one. I have been able to bring power to the board and start ruling out some damaged chips so thats a start. This machine has been through a lot and i'm happy to pour some more effort into it. It still has good bones! Tokabln! Thanks for that, Yeah I have been able to identify some chips now. I think for most of them I should be able to order replacements. I don't have the equipment to reflash the eprom. Do you have any advice in terms of getting a replacement or somewhere i can send it away to be reflashed? For instance in regards to the 74LS244n: I belive it may be faulty. Can i simply ebay a chip such as the one below it which matches and replace it? I'm not sure if the lettering underneath the chip matters. Once again sorry if it's such a basic question. You can buy an EPROM programmer like the Minipro TL866CS for under USD $50 if you order it out of China. You may also need a UV EPROM eraser. You can get one of those for under USD $20. If needed, you can buy blank EPROMs of the sizes used in the //e (mostly 2764 amd 2732 if memory serves) for USD $2-$3 each. The images you need to burn onto them are available online at places like the Apple II Documentation Project and the Asimov Apple II Archive. Hi... as you posted an Australian ebay link, I believe that you are living there. Therefore beside a distributor from where you can source additional parts if needed. Most (all?) 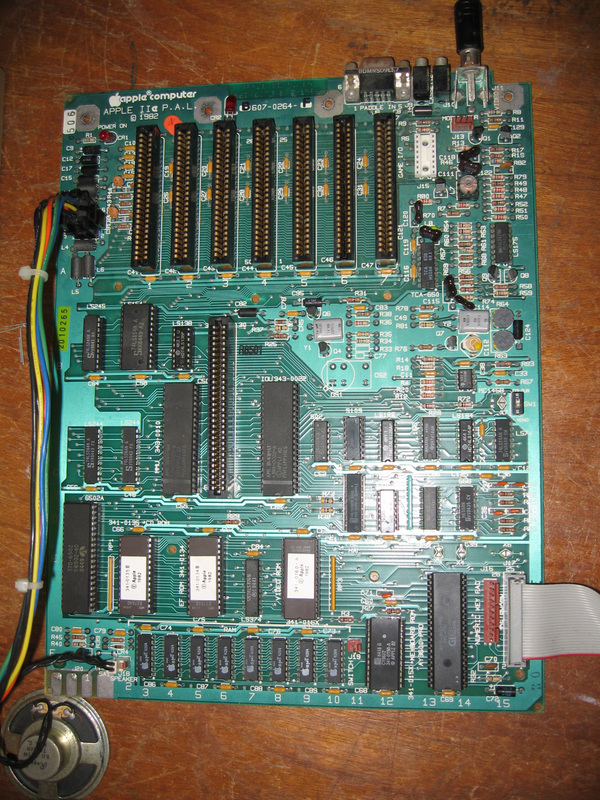 logic chips (apart from ROMs and custom chips) in the Apple II machines are 7400 series logic chips. This means that they are a garden variety chip and can be replaced with another chip with the same logic code. It is the logic code that matters - for example, in your specific chip it is a 74LS244 - the 74 indicating that it is a 7400 series chip, the LS means it a low-power Schottky, and the 244 means that it is a tri-state buffer . Any numbers or letters before or after 74LS244 are usually manufacturer specific and are irrelevant in most cases. 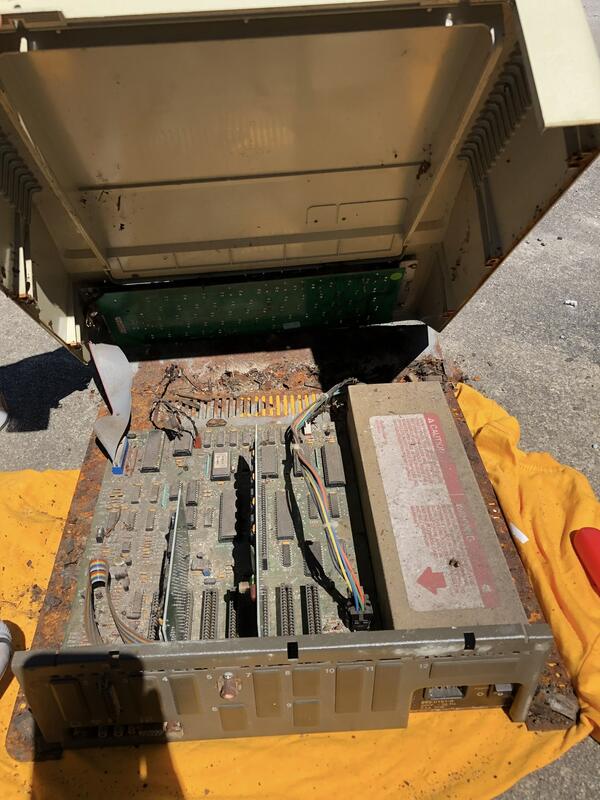 By the way, I recently (about a year ago now) restored an Apple //e clone that had been sitting out in a shed for many years and was also in a bad state - rusty, full of bugs, dirt, etc - and I managed to get it all cleaned up and working. One (of potentially many problems) problem you may have is getting the keyboard working with your particular machine being thrown around in sand. It is quite likely that sand/dirt has worked its way into some of the key switches. I had to disassemble at least 3 key switches and clean/adjust before restoring functionality. I videoed my restoration process and have *almost* finished editing it. By the way, I am in Australia too, so if you need any further help, feel free to ask. You can contact me via my website. I really appreciate that information. I'll look into purchasing that information and perhaps i'll look into purchasing one of my own. At least that way i have one even if i don't use it except for rare cases. Where do I download the data to burn onto the erom? Otherwise I was thinking of purchasing a 'enhanced apple iie' kit that way all the eroms will be replaced with greater versions. That link really helped! I'd rather get the parts from an authorized distributor instead of an ebay store. Yeah, I spent a long time looking at the keyboard and wondering where to begin. I was able to losen up and clear up the stocks but I think i need to thoroughly diassemble the keyboard and clean each stock and see the damamge left by the switches. In the meantime i was looking at a card which allows the use of a modern day usb keyboard via an arduino. I'm just worried when it comes to finding the missing keys. I think that's going to take the longest of time. Your information on the IC chips is really useful, I couldn't find a resource which helped the breakdown the chip. Looking forward to seeing your video for when it comes to my turn on my keyboard. All of the ROM images can be found on the Apple II Documentation Project or the Asimov Apple II Archive.